Upwards of half of all men reading this article will either start balding or be completely bald by age 50. And while hair thinning and hair loss certainly occurs in women, there is no denying that completely losing the hair on the top of your head is one of the unfortunate realities of being a man. ​Luckily, there are many options available for balding men who have the time and money to invest in turning back time. Anything from hair growth stimulating medications like finasteride to full-on transplants of hair from other parts of the body are available. And while hair rollers and toupees are increasingly out of style, they certainly can be purchased for far cheaper. ​However, many men consider the process of aging to be a natural one, or otherwise don’t have the time or money to invest in stopping the atrophy of their hairline. Depending upon the culture and the man, hair loss doesn’t have to be a shameful, miserable experience. With the right haircut and a whole lot of confidence, your transition from mane to shaved can be a fun one. ​And while your temples may be higher than before or your hair too thin for your old favorite hairstyle, that doesn’t mean that it’s time to take the clippers to your head just yet. There are many hair options available that will fool just about everyone into thinking that hair loss just isn’t in the cards for you. 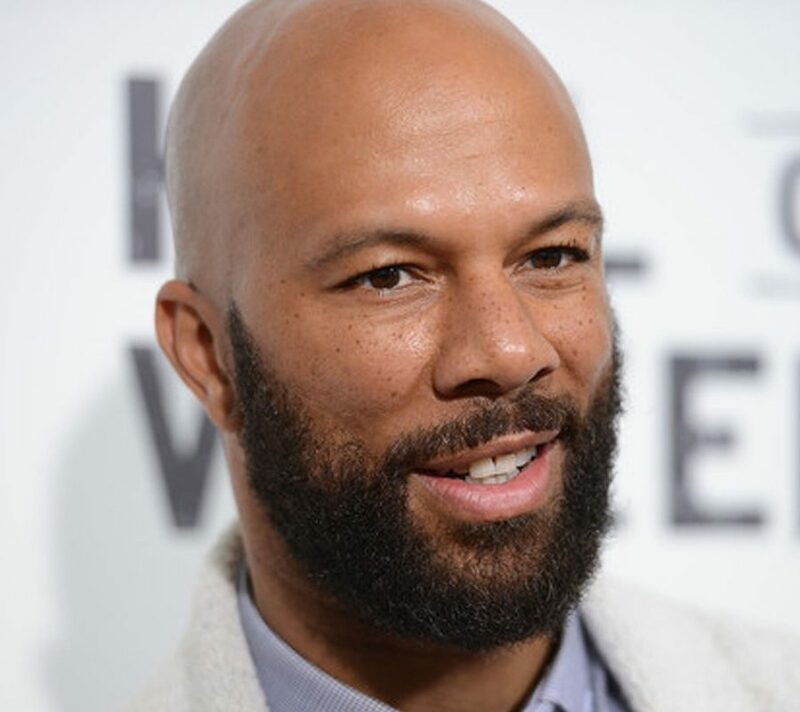 ​That’s why we’ve taken a close look at the top seven hairstyles for balding men that allows them to keep the remainder of their hair as long as possible. 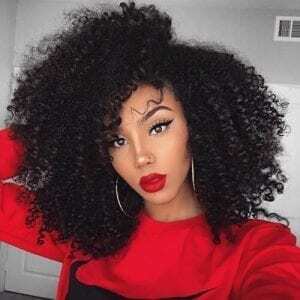 These styles will keep hair looking full, and in many cases, allow you to keep your hair for an extra decade or longer without ever going under the knife or taking medication. When looking into hairstyles as a balding man, you first need to consider how exactly you are balding. Not every man balls the same way, and some men will only lose some of their hair throughout their lifetime. In that case, you may be able to rock one of the below styles for the rest of your days. ​Let’s go over how to know the type of hair you’re dealing with. And to find out, you need to know your Norwood number. ​The Norwood Scale is a scale that helps you define your hair loss. Most men live through more than one Norwood number in their lives, as the Norwood Scale is designed to help you track where your hair loss is at now—not where it’s going to end up. ​There are seven numbers to the Norwood Scale—ranging from a Norwood 1, which means that you have a perfect hairline with no hair loss, and a Norwood 7, which means complete and total baldness on the top of the head. 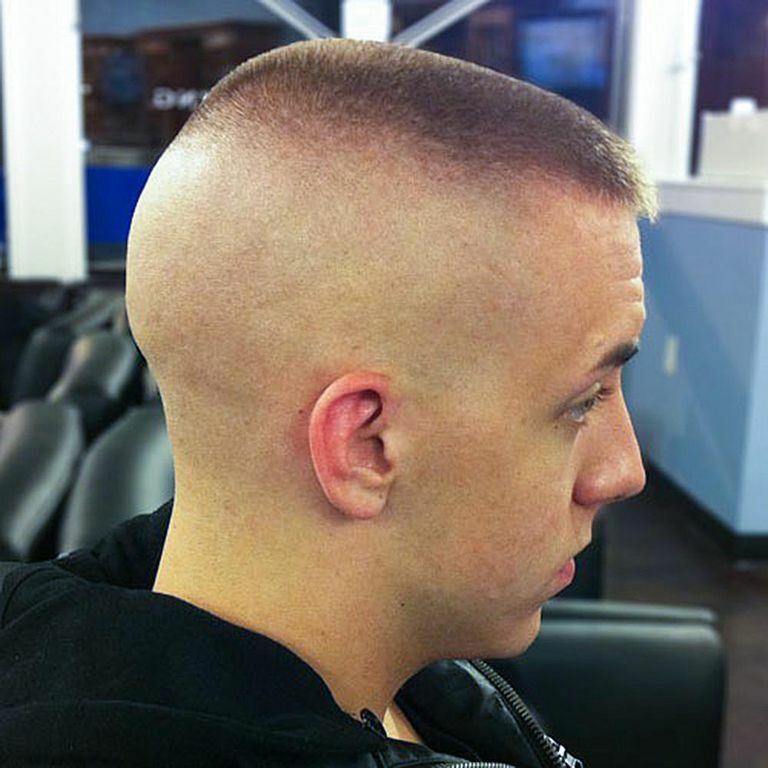 ​For most men, the hair on the sides and back of the head never thin or bald. This is why you’ll see many older gentlemen with a clear and shiny dome—but long and thick locks of hair on the sides and back of their head. And while rocking this look may be acceptable in some instances or preferable to you, we’re going to aim for a different look entirely. ​After you have your Norwood number, you can begin to look into hair styles. Some of our styles are designed for men with simple temple recession, while others for overall thinning, so be sure to remember if you have a subset of a Norwood number, such as a vertex. 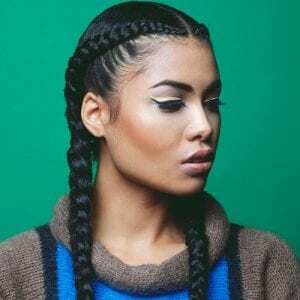 ​We’ll go into the specifics of each of these rules throughout our hairstyle breakdown, but if you want more specific suggestions, we recommend going to our Styling Guide towards the end of our list. ​​As we’ve mentioned previously, we wanted to choose styles that worked for any type of balding. But that also means that not all styles are going to work for all balding men. For instance, those with temple recession may find that the buzzed look makes them look more bald, while others with thin hair all around won’t be able to pull off classic slicked and swooped styles. ​Every hairline is different, and we wanted to best approach each head of hair with a corresponding style, or at the very least, tips and tricks to maximizing your hair. Of course, we also recommend going to a stylist and being upfront about your hair loss. Explain that the goal isn’t to hide the hair loss, but rather maximize the available hair. ​This style takes a whole lot of confidence and a whole lot of volume—as it’s going to put the entirety of your receding hairline on display. ​The slicked-back look is reminiscent of older times and involves using fiber, pomade, or mousse to keep the hair locked in place and out of your face. This look is best for those with receding temples, and you can allow your bare skin to give more angles to your face. This look is popular for many but beware—you need to give your cut daily attention. ​To go for the slicked-back look, make sure your hair looks slightly wet—but not greasy. The key is to shower daily; stripping your hair of any product and grease, then using a generous (but not liberal) amount of product. Be sure to talk to your stylist about the specifics and whether or not a slicked back style works with the amount of hair you’re currently rocking. ​Going high and tight is a classic look that might remind you a little bit of your father. However, popularity aside, this look is great for most types of balding before a Norwood 4 of 5. ​The high and tight look is rocked by many celebrities, from Daniel Craig to Ryan Gosling or Tom Hardy. This look is short on top and punctuated by even shorter sides. For bonus points, you can fade the sides into your beard to give your head a dapper, angled look. ​There are many different types of fades, and these can be joined in turn by many different types of haircuts on the top. One of the most popular styles of the last few years was the disconnected undercut. Undercuts are defined as any haircut in which the hair on top can completely cover the hair on the sides or back—from root to tip. 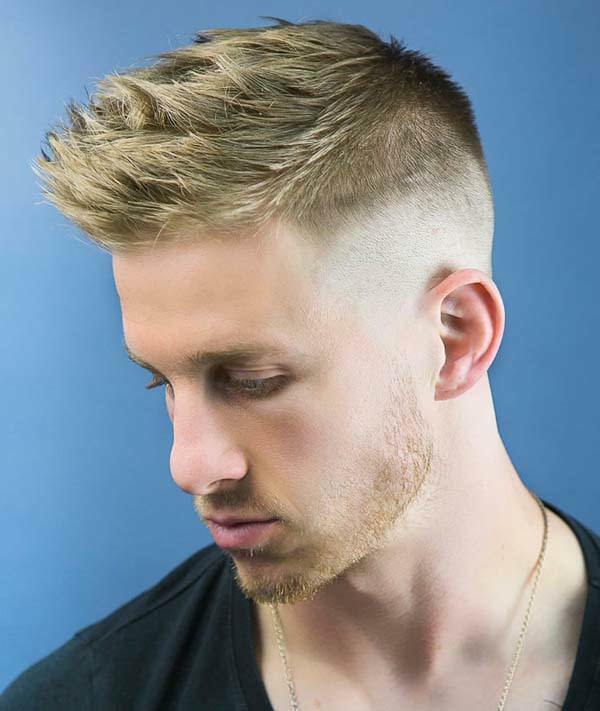 ​And while a pure undercut with long hair on top is probably out of the cards for all but maybe those with a Norwood 2, we recommend fades for accenting most styles on top. 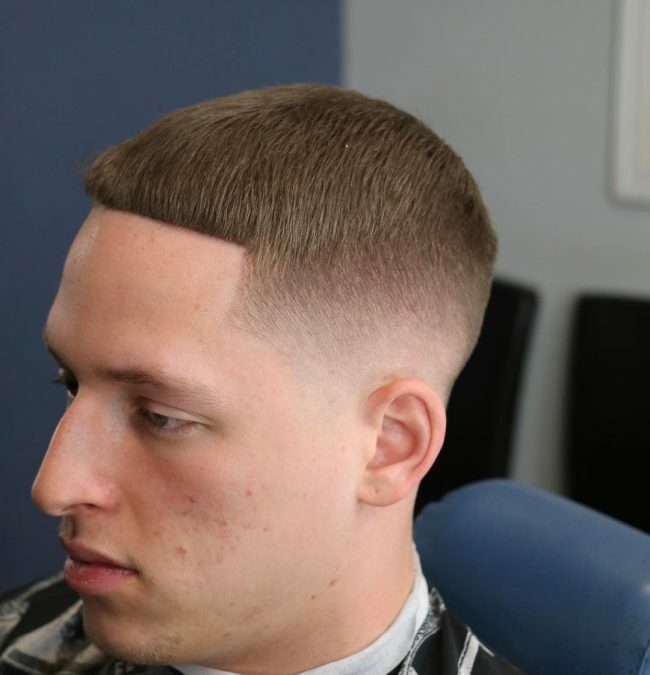 If you want a versatile look, you can go with a clean few inches on top, and a fade that stops at the base of your head nearly shaved to the skin. 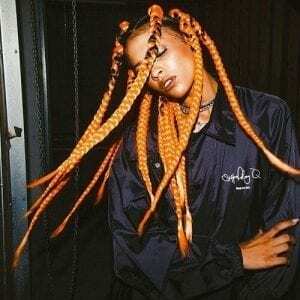 ​Fades, perhaps more so than any other style of hair on this list, need to be executed by professional. 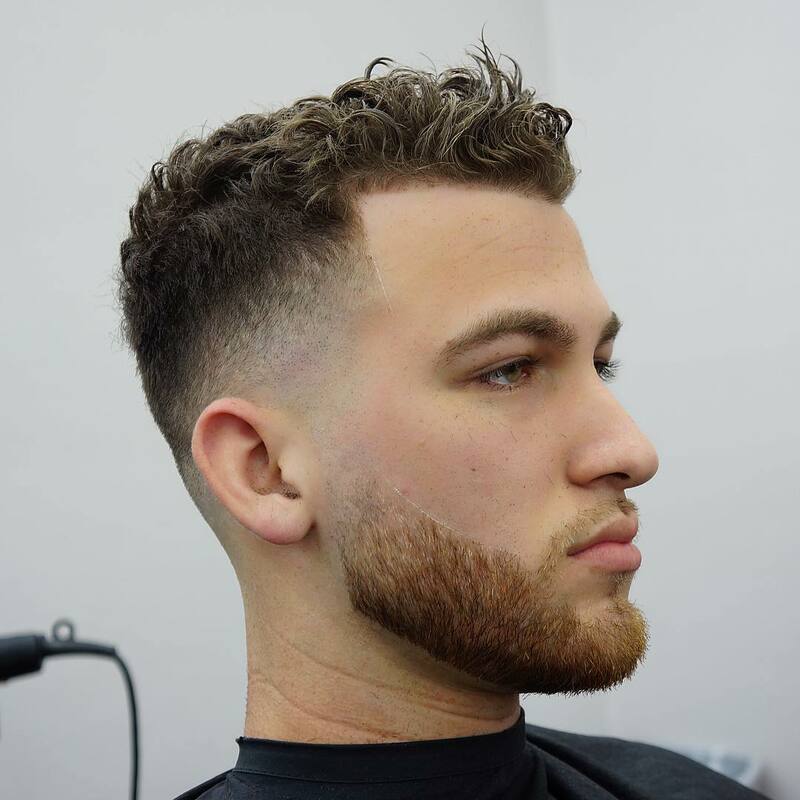 Very rarely will you be able to get a fade right on your own, so we recommend going to a stylist or enlisting the help of excellent hair cutters in your family to pull off this look. ​Now, we know that comb overs need to be avoided, and we almost never recommend actively growing out hair to cover balding parts of your head. 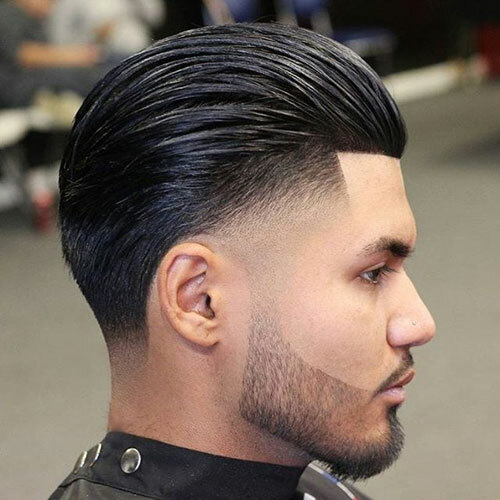 However, the slicked comb over is unique enough from the comb over as well as the slicked back look to be considered a unique style. ​Did you know that Henry Cavill’s Superman haircut was a slicked comb over over a receding hairline? If the Man of Steel can pull off this look with receded temples, so can you. Slicked comb overs are also one of the easiest “longer” hairstyles on our list to pull off at home. ​Instead of pomade or mousse, you can use a fiber or dry styling cream to slick back your hair and brush it slightly to the side. This will effectively cover one of your temples so if you have a temple that’s worse than the other when it comes to hair loss; this could help offset your asymmetry. 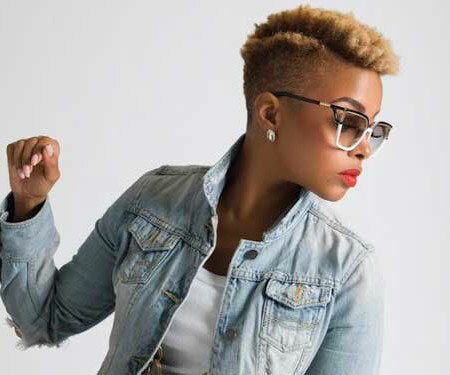 ​Pulling off a faux hawk is going to take more confidence than many of our other styles. They are most commonly associated with youth, but if you cut back on the height and volume just a little bit, they can easily offset receding temples. 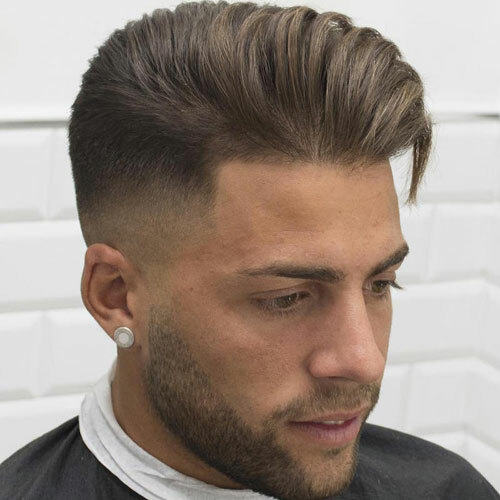 ​If you’re rocking a high and tight or slicked back look, you may be able to reverse the direction of your hair and style a faux hawk from your existing style. This versatile look is popular with many, and in many causes, is easier to pull off with a receding hairline than with a full head of hair. ​Contrary to popular belief, a buzz cut and a shaved head are not the same. ​Named after the sound heard when getting one, the buzz cut is achieved by taking the guard off of a pair of clippers and cutting the entire head of hair equally. The result is a look that’s best for thinning hair on top, receding hairlines that are too angular for the other styles, or men with dark hair that still want to keep a little bit around for a little while longer. ​Jason Statham is notorious for keeping a buzz cut, and while it is clear that almost all of his hair on top is gone, this doesn’t seem to keep him from blockbuster roles. 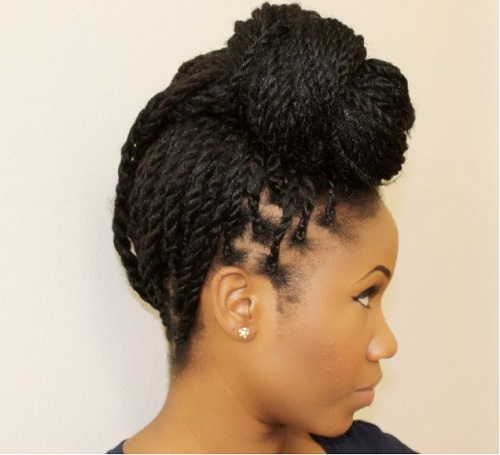 Once again, it is the confidence and the execution of a hairstyle that is key. ​While this isn’t a hairstyle in the technical sense, we feel the need to remind men that, while it may not be preferable or desired, sometimes, hair is too far gone. ​We recommend going for the buzz cut before going full bald to see how you take to the experience, but if your hair is too dark on the sides and nonexistent on the top, you may want to go ahead and go under the razor blade. 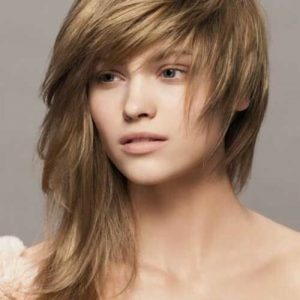 ​And while the experience is traumatic the first time, you can always go back to a buzz or longer style if you do not like it. While hair loss is progressive, in most cases, you can always grow at least some of it back. ​Once you’ve picked out the hairstyle that you know is right for you, we have some general tips and tricks we’d like to share that applies to all hairstyles for balding men. ​First of all, hair loss isn’t everything. Men with thicker, coarser, or more curly hair overall will probably be best served by volume looks like the slicked back or slicked comber. For thinner, straight hair, high and tight or a spiked faux hawk may be more up your alley. ​We also recommend sticking with tried and true options for haircuts. As we’ve mentioned before, the undercut was popular for a time, but it seems to be fading from popularity. Likewise, if you chase the trends of hair, particularly when you’re losing that hair, you made be in for a rude awakening when you look back onto this moment. ​Regardless, we hope that you take some time and consider which of these styles works with your head. So keep your head up high, consider growing a beard if you can, and don’t let hair loss get you down. Eventually, you’ll wonder why you ever really worried.